When you work hard to preserve the beautiful environments of Stratham, Portsmouth, and Exeter, why shouldn’t your vehicle do the same? With the 2018 BMW 330e by your side, you’ll drive knowing that you’re operating a legendary green machine. But to understand every inch of this intelligent sedan, let’s dive into this 2018 BMW 330e review created by BMW of Stratham. Before long, you’ll be sailing down the highway feeling confident that you’re leading the way inside a conscientious car. While you’re dominating the highway, it’s important that you’re armed with lots of ways to harness your vehicle’s strength. That’s why the new 2018 BMW 330e includes a convenient eDrive button, which allows you to choose how much energy your sedan conserves. With options like AUTO eDrive, MAX eDrive, and SAVE Battery modes, you can quickly adapt your ride to utilize its gas or electric engine. Speaking of engines, the BMW 330e comes packed with a 2.0L turbo motor that teams up with an eDrive electric turbine for the ultimate in fuel efficiency. Altogether, these impressive engines churn out a total of 248 horsepower and 310 lb-ft of torque. 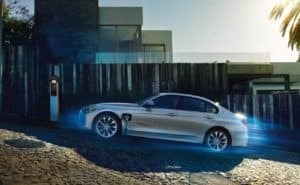 If you’re trying to fill up your tank less often, this BMW model will answer your prayers with an EPA-estimated 71 MPGe. With that kind of efficiency, you’ll soar down your path knowing that your automobile is helping you steer clear of the gas pump. You’ve got to stay connected with the industry’s latest gadgets. 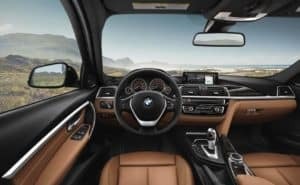 Tucked into the sleek cabin of the 2018 BMW 330e are plenty of ways to access your favorite technologies. For example, this sedan comes equipped with a standard 6.5-inch iDrive display that features tools like HD Radio™, SiriusXM®, Bluetooth®, and much more. On top of that, the BMW 330e keeps you in touch with crucial information about your fuel consumption and battery power with BMW eDrive Services. From the responsive touchscreen, you can check up on things like your charging status, local charging stations, and a charging timer. While your automobile is busy tackling your route, it’s essential that you remain relaxed in the driver’s seat. Luckily, the 2018 BMW 330e makes it easy with details like the standard 10-way power front sport seats with power side bolsters. That way, you can find the seat position that’s ideal for your unique proportions. To ensure that the interior of your sedan is always at your preferred temperature, Advanced Vehicle & Key Memory automatically engages your most recently used settings. With this device, your car will intuitively reposition the exterior mirrors, the cabin temperature, and more so that you won’t waste time changing the controls. After a long day at the office, don’t let a vehicle that doesn’t offer top-notch efficiency hold you back from confronting the roads of Stratham, Portsmouth, and Exeter. And with the 2018 BMW 330e as your next eco-friendly ride, you’ll surge forward knowing that your car is as environmentally-minded as you are. Why wait around for this aggressive automobile to fly away from our dealership?  Instead, stop by the showroom at BMW of Stratham or contact our team to schedule your test drive today!